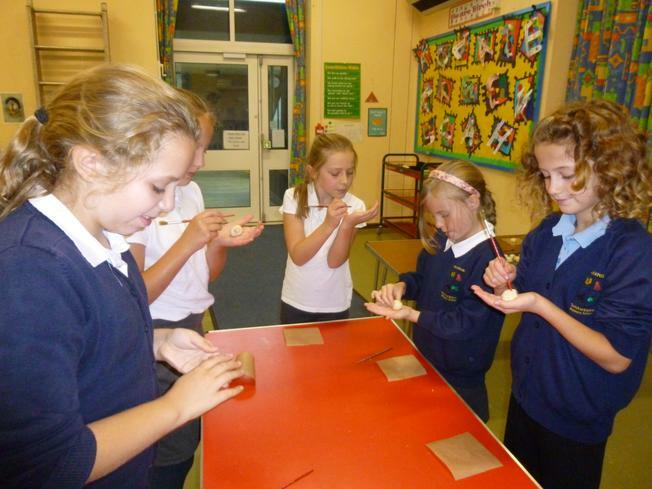 Children at Sharnford had a great time poking and baking hedgehogs on Monday.....but only ones made from salt dough! Both schools are taking part in a University of Leicester initiative in which schools in the county make salt dough hedgehogs to help with their maths work. The aim is to make 10,000 hedgehogs in total - with the hope that later in the year we will have some of our hedgehogs come back for a visit to help us with our numeracy! Thanks to Mrs Bryan for giving up her Monday afternoon and for her hedgehog making expertise!